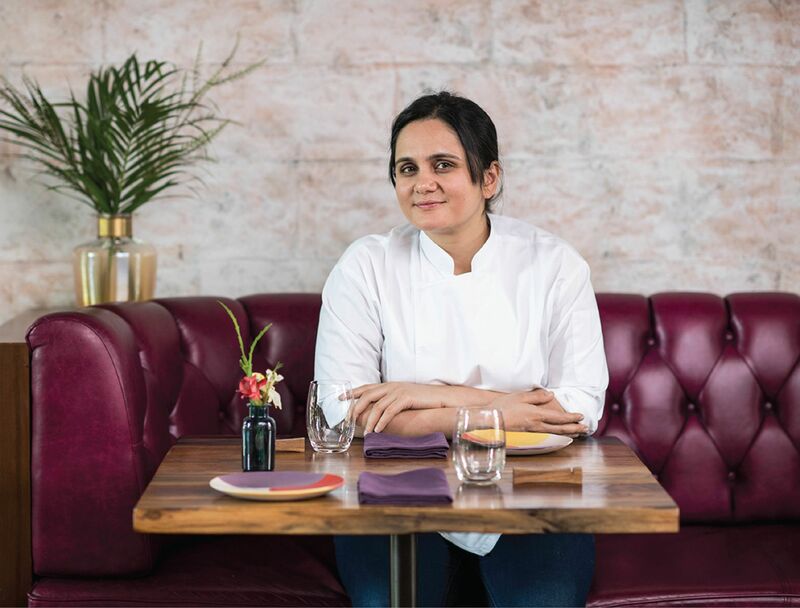 The title bestowed by the Asia's 50 Best Restaurants group comes just months after chef Garima Arora became the first Indian woman to earn a Michelin star last winter. The concept of Gaa is not unlike Gaggan, an avant-garde restaurant in Bangkok which also serves progressive Indian cuisine with local Thai ingredients and influences. Gaggan is helmed by Indian chef Gaggan Anand and has topped Asia's 50 Best Restaurants for the last four years in a row. At Gaa, diners choose between a 10 or 14-course tasting menu that changes quarterly and relies on classic Indian cooking techniques, notably, the extraction of umami from vegetables, Arora explains in a video interview. That's the principle behind her signature dish, flame-grilled jackfruit topped with caramelised onions, served with an assortment of pickles and roti. The result? A vegetarian dish where the lack of meat goes unnoticed. "What ignites my passion as a chef is eating something new for the very first time," she said. "The joy one feels when they take a spoonful of something they never tasted before. That's the feeling I like to have and that's the feeling I want my guest to have as well." Along with being adept in the kitchen, Arora is skilled with words, expressing her culinary ethos with ease and clarity, perhaps owing to her background as a former journalist. Like a journalist, she also asks thoughtful questions in her cooking (e.g. why is that Indian cuisine developed this way and why do we put things together the way we do?) in order to come up with new and different dishes. For Arora, there was no toiling in small ma and pa restaurants or greasy spoons. After graduating from Le Cordon Bleu in Paris in 2010, Arora went straight to the top, working at Noma in Copenhagen where she learned to approach cooking as a "cerebral exercise" before moving on to Gaggan. She opened Gaa, a three-story restaurant across the street from Gaggan in 2017. While discussing her decision to open in Bangkok, she described the city as the perfect backdrop for the shared connection between Indian and Thai cultures, people, language, food and mythology. She also welcomes the notion of bringing progressive Indian food to the international stage: "Indian food can be the future of modern cuisine." Read more International Women's Day stories here.